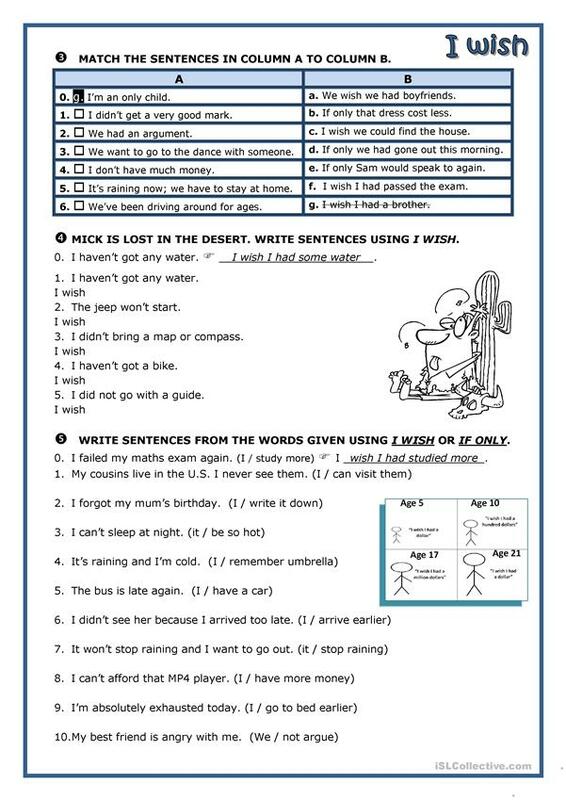 Some exercises to teach "I wish". 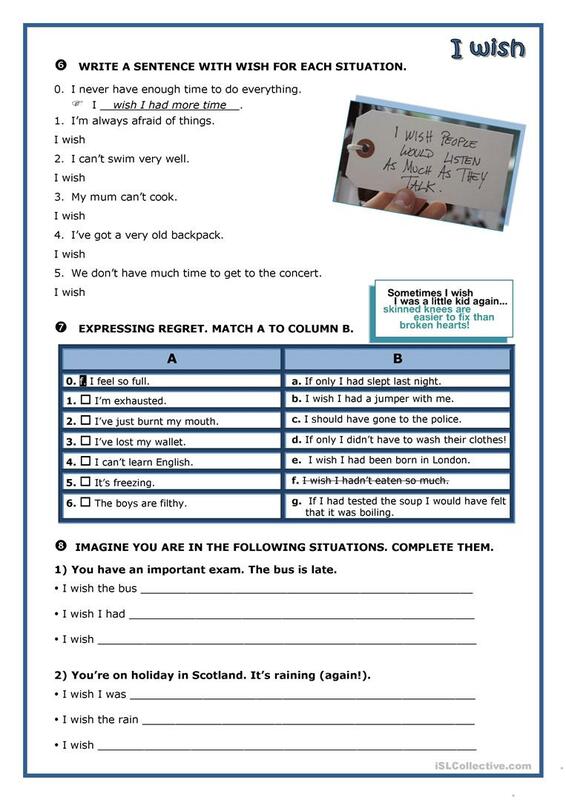 This printable, downloadable handout is a great resource for high school students and adults at Intermediate (B1) level. 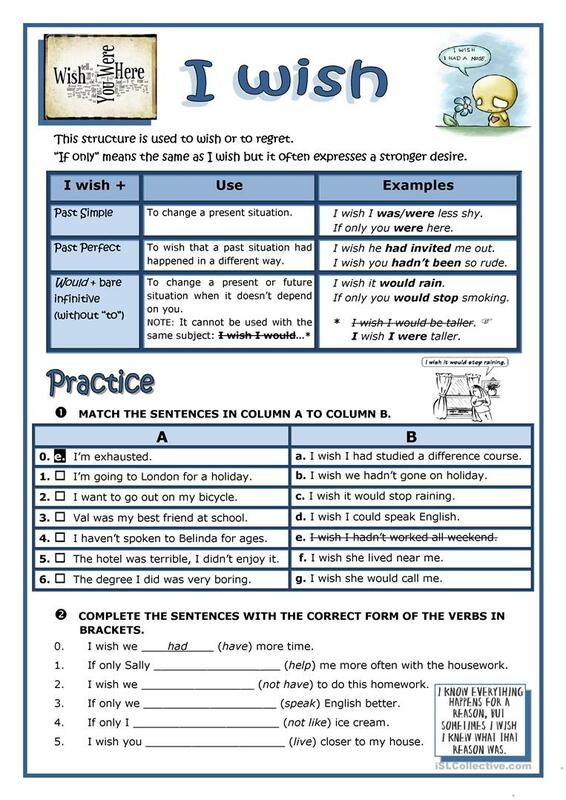 It is aimed at practising Conditional II (second) - would, Conditional III (third), Conditionals and Conditionals - I wish / If only in English, and is useful for developing your students' Reading and Writing skills.